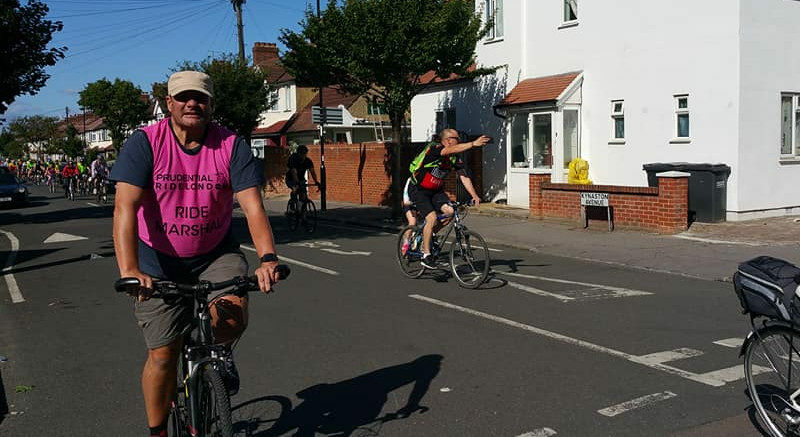 Anerley colours were proudly flown by 14 riders who stepped forward to Lead and Marshal the London Prudential Freerides from Croydon and Sutton up to central London and back. 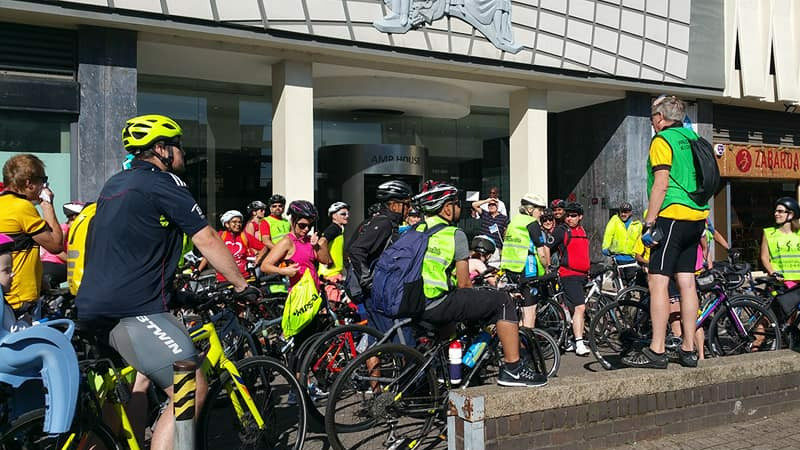 Last year we were asked to lead the Croydon ride. This year LCC upped the anti and asked if we could cover Sutton too as they had been let down. It was a challenge, but thanks to enthusiastic support from club members we were able to do a fantastic job. 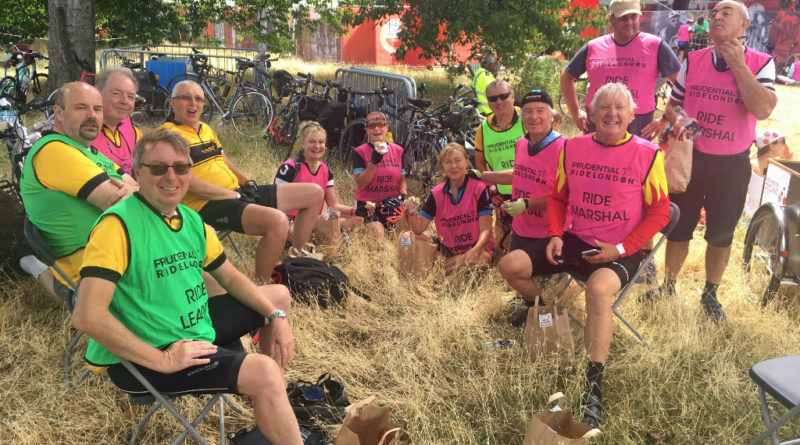 This is a great way to “give something back to cycling” by helping new and less confident riders enjoy cycling in a group and probably covering more distance than they are used to. 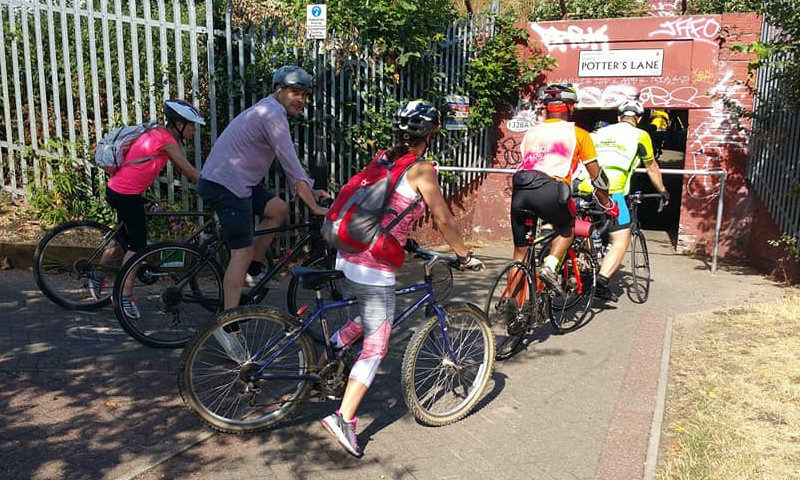 Steve led the 25 Sutton riders through Morden Park, the Wandle Way, Wandsworth common, Clapham common, Lambeth and across Westminster Bridge.15 miles. Marshals were Karen, Mick and 3rd leader Pete bringing up the rear. 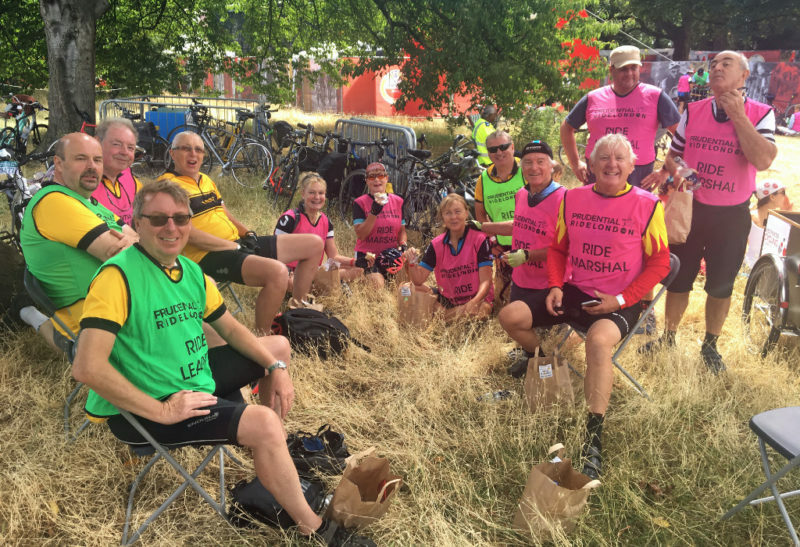 Special thanks to Steve and Roger for taking on the rather stressful role of leading the rides. 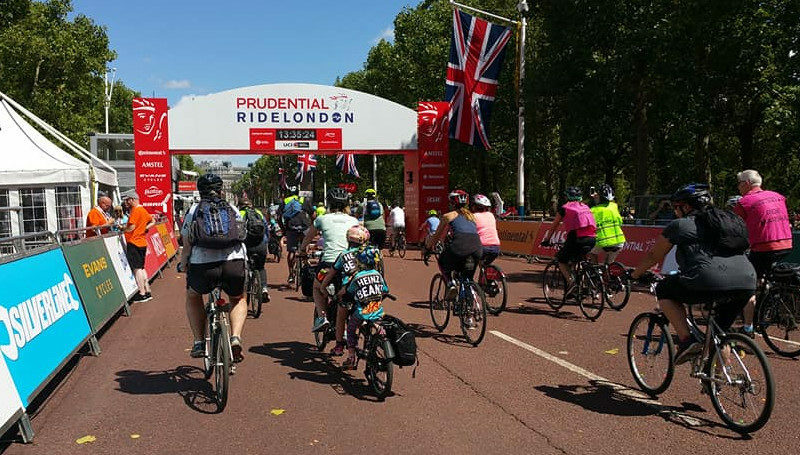 Not only is it difficult to judge the right pace for all abilities it’s also challenging to keep on the right routes which take many unexpected turns along the quieter paths and roads into London. Missing a turn and getting a large group of novice riders to do a 180 is tricky. Fortunately this didn’t happen too often. We were rewarded with a picnic in the park and £400 which we will donate to various children’s disability charities including Viv’s box at Crystal Palace and John D’s iiChild Holiday Club. Thank you to all who volunteered to make this such a great success. Ricky also deserves a mention in despatches for single handedly shepherding home a very slow chap, allowing the rest of the Croydon group to continue on at an already slow pace.